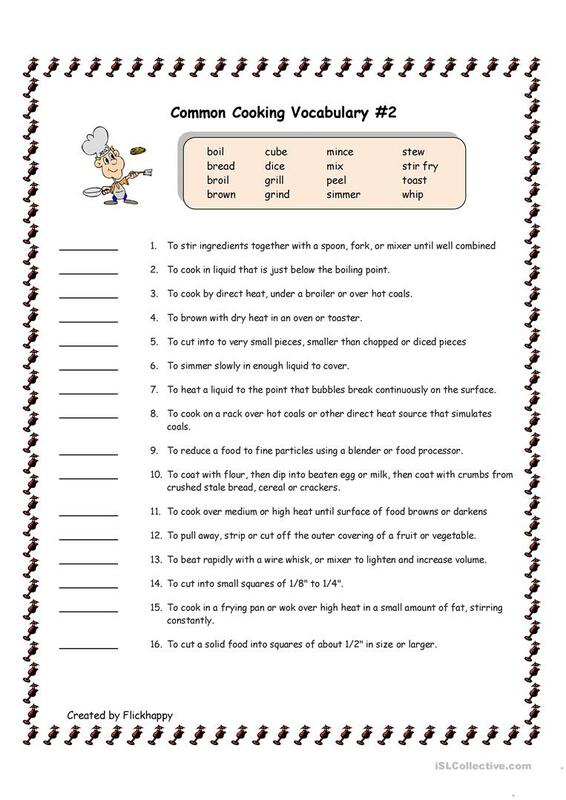 This is a matching activity for cooking terms and their definitions. 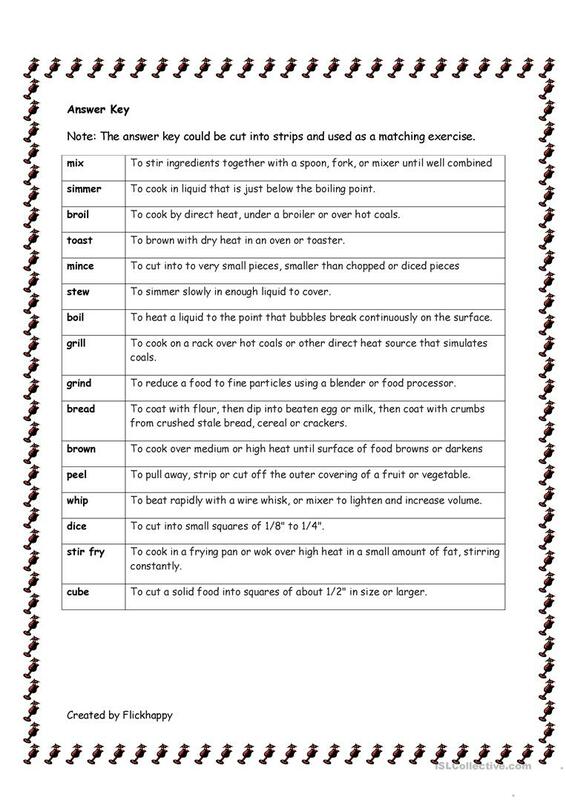 It can be used as a simple worksheet or the answer key can be cut into strips and done in small groups as a matching activity. This downloadable teaching material is intended for adults at Intermediate (B1), Upper-intermediate (B2), Advanced (C1) and Proficient (C2) level. It was designed for enhancing your class' Reading skills. You will find the solution at the end of the worksheet.